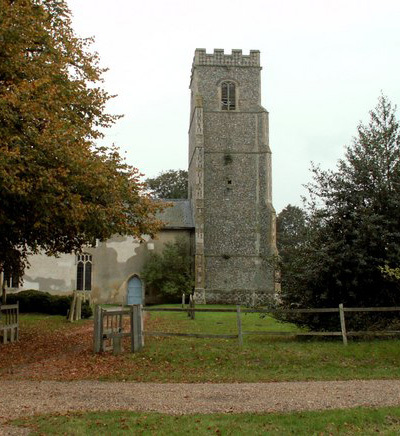 There are two churches at Rendlesham, St Gregory's in the old village and St Felix in the new village. The one in the old village, dedicated to St Gregory the Great, is late mediaeval and has served this community for around seven hundred years. The other, in the new village, is dedicated to St Felix of Dunwich and began life in the 1940s as the chapel for the Bentwaters airbase, and since 2000 has been serving the rapidly-growing new village being built on the old airbase site. The two churches offer contrasting and complementary styles of worship. Services at St Felix' Church usually feature modern worship songs led by one of the worship groups, and there is a children's group, the Holy Hurricanes, who go out to their own activities during the service and return before the end to show the rest of the congregation what they have been doing. Services at St Gregory's Church are more traditional in style, with hymns accompanied by the organ. There is one Parochial Church Council (PCC) for the parish, where both churches are represented and support each other.